wholesalers chose us as their first supplier after they found us. The company spends lots of times in purchasing human hair raw materials. We deeply know best human hair products from the top quality hair materials. Our factory have raw materials purchasing agent in Brazil, Peru,Malaysia, India, Myanmar. 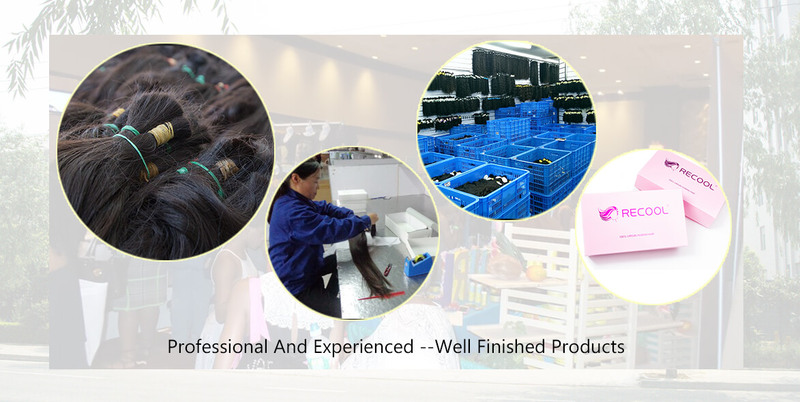 We dispatch professional worker to inspect the quality of raw materials to make sure the best hair raw materials sent to domestic factory processing products. 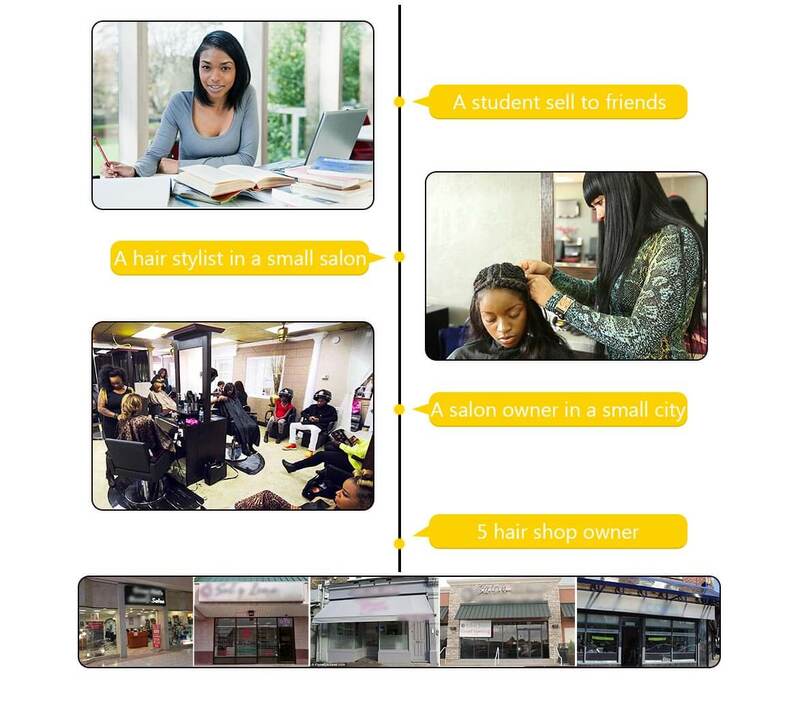 The company has more than 100,000 bundles in stock per day to meet the needs of wholesalers, salons and individual customers at any time. We sold out at least 3,000 bundles per day. It only takes about 2 -5 business days for the package delivery. Customer service will be 24 hours online to bring you good shopping experience.The employees of Recool mall have an obligation to enable customers to know the product model , performance, using occasions to ensure that customers make the right choice before purchasing . After shipped out the products, we will keep tracking until customer receives the goods well. Most of our customer are Americans. We have warehouse in United States Which let you get the package faster, Also have the human hair store in Guangzhou beauty&exhibition Center, there are a large amount of new-coming and returning customers purchase from our store. Of course, wholesalers is our main customers. Over more than 200 stores in Guangzhou, our store is the top selling, If you have a chance to be Guangzhou China you are welcomed to our store any time.